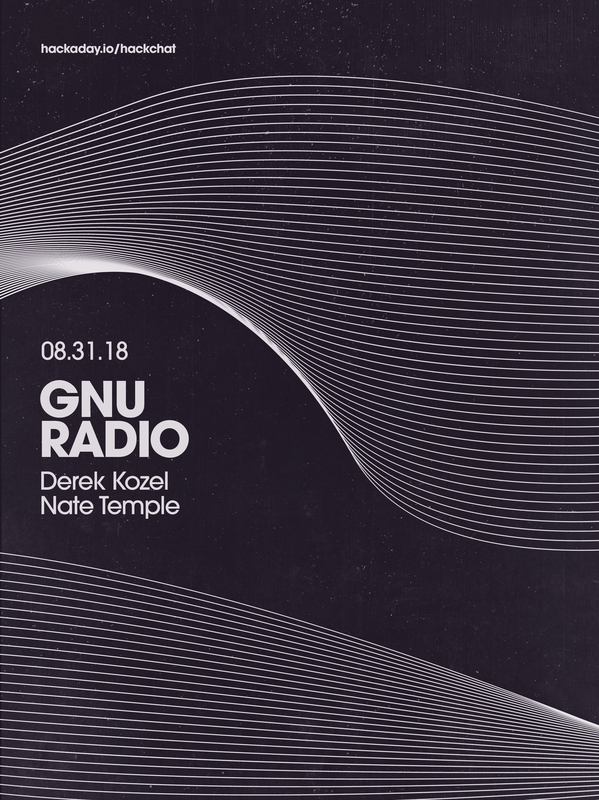 For this week’s Hack Chat, we’re going to be talking all about GNU Radio. What can you do with it? Was the interface really inspired by MaxMSP? All that and more in this week’s Hack Chat. You are, of course, encouraged to add your own questions to the discussion. You can do that by leaving a comment on the GNU Radio Hack Chat Event Page and we’ll put that in the queue for the Hack Chat discussion. Our Hack Chats are live community events on the Hackaday.io Hack Chat group messaging. This week is just like any other, and we’ll be gathering ’round our video terminals at noon, Pacific, on Friday, August 31st. Need a countdown timer? We should look into hosting these countdown timers on hackaday.io, actually. What do you get if you cross a software defined radio (SDR) and an iconic children’s drawing toy that we are sure is a trademarked name? If you are [devnulling], you wind up with the Etch-A-SDR. The box uses an Odroid C1, a Teensy, and the ubiquitous RTL-SDR. The knobs work well as control knobs (as you can see in the video below). When you are bored listening to the radio, you can reset the box and go into Etch-a… um, drawing mode. The knobs work like you’d expect and you can even erase the screen with a vigorous shake. Theoretically, GSM has been broken since 2003, but the limitations of hardware at the time meant cell phone calls and texts were secure from the prying ears of digital eavesdroppers and all but the most secret government agencies. Since then, the costs of hardware have gone down, two terabytes of rainbow tables have been published, and all the techniques and knowledge required to listen in on cell phone calls have been available. The only thing missing was the hardware. Now, with a super low-cost USB TV tuner come software defined radio, [domi] has put together a tutorial for cracking GSM with thirty dollars in hardware. Previous endeavours to listen in and decrypt GSM signals used fairly expensive software defined radios – USRP systems that cost a few thousand dollars a piece. Since the advent of RTL-SDR, the price of software defined radios has come down to about $30 on eBay, giving anyone with a Paypal account the ability to listen in on GSM calls and sniff text messages. The process of cracking GSM first involves getting the TMSI – Temporary Mobile Subscriber Identifier – a unique ID for each phone in a certain cell. This is done by sending a silent SMS that will send back and acknowledgement an SMS has been received on the victim’s phone, but won’t give the victim any indication of receiving a message. From there, the attacker listens to the GSM signals in the cell, receiving bursts attached to a TMSI, and cracking the encrypted stream using 1.6 TB of rainbow tables. [domi] put up a four-part tutorial series (part 1 above; part 2, part 3, and part 4) that goes over the theory and the actual procedure of cracking text messages and voice calls with a simple USB TV tuner. There are a few limitations; the attacker must be in the same cell as the victim, and it looks like real-time voice decoding isn’t yet possible. Cracking GSM for $30, though, that’s good enough for us. By now most Hackaday readers should be familiar with this year’s latest advance in software defined radio. With a simple USB TV tuner dongle, it’s possible to receive FM broadcasts, GPS data from satellites, and even telemetry from aircraft flying overhead. There is one limitation to this setup, though: it’s receive only. Hacker extraordinaire [Michael Ossmann] is looking to make a better software defined radio called the HackRF. The HackRF is an incredibly ambitious project – able to receive just about anything between 100 MHz and 6 GHz (this includes everything from the top of the FM radio band to cordless phones, cell phones, WiFi, and basically any radio technology that has been commercialized in the last 15 years), the HackRF is also able to transmit. Yes, with the HackRF it’s possible to build your own software-defined WiFi module, or just broadcast bogus GPS information. Compared to the $20 TV tuner SDR dongles we’ve played around with, the HackRF isn’t exactly cheap. [Mossmann] figures he’ll be able to sell the device for about $300. A fair bit of change, but much, much less than professional, commercial SDR solutions. A very cool advance in the state of SDR, but reason dictates we must suggest that everyone who wants a HackRF to start studying for their amateur radio exam now. Being a licensed radio operator won’t stop you from any sort of malicious intent, but with at least with licensing comes with the possibility of knowing what evil you’re doing.